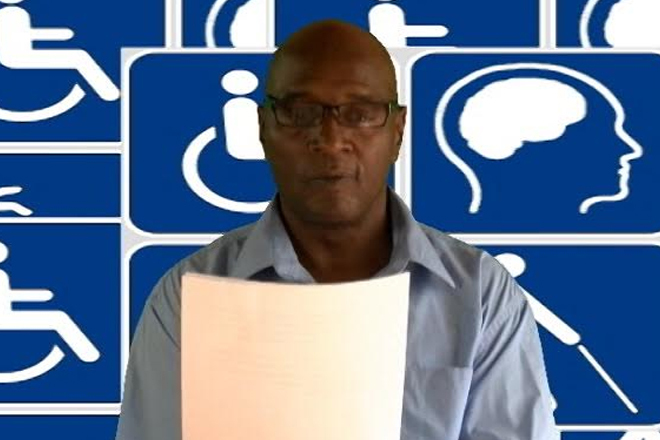 (ZIZ News) — Able-bodied persons will be given the opportunity to experience the challenges of disabled persons on Wednesday with the hosting of a “Walk In My Shoes” exercise by the Association of Persons with Disabilities. President of the Association, Anthony Mills in a national address, spoke of what can be expected during the event. “On Wednesday we have a walk in my shoes exercise. This exercise asks volunteers to agree to be blindfolded, use a wheelchair or wear air plugs so as to be able to understand what persons with disabilities go through,” he explained. The “Walk In My Shoes” event forms part of the weeklong celebration of International Day of Persons with Disabilities.